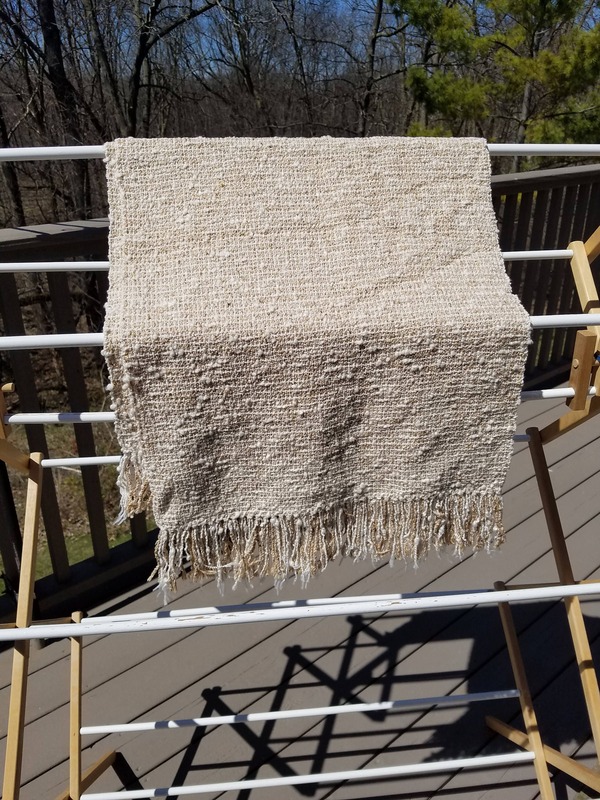 Medium weight wrap made from natural color cotton/linen blend. I have 2 on hand. Both measure between 77 - 78.75 inches without fringe and 16.25 inches wide.